Mission Statement: To promote the Strait of Juan de Fuca Highway 112 Scenic Byway. 3 - 5pm the fourth Monday of each month. There are no meetings in July, August, December. For meeting details contact us. The Juan de Fuca Scenic Byway Association (JFSBA) is a grassroots, volunteer organization formed for the purpose of promoting awareness of and sharing the history, culture, natural beauty and recreational opportunities along the Strait of Juan de Fuca Highway 112 Scenic Byway. The Association is a Washington State incorporated nonprofit organization with a 501c3 charitable organization status with the IRS. … will strive to provide a safe, educational and enjoyable experience for residents and visitors to SR112, with access to recreation along the byway. Highway Safety: The safety of travelers and residents is of primary concern to the Association. Public meetings allow for a constructive and educational way to address and resolve any safety concerns. Natural and Cultural Resource Awareness: The Association will focus on educating the traveling public about local cultures that formed the history of the area and provide opportunities to visit recreational and cultural sites essential to a valuable and memorable travel experience. Environmental Stewardship: The Association realizes the importance of good environmental stewardship and will attempt to bind the community in efforts to understand and see resolutions to environmental concerns and to further educate the traveling public. … will focus on educational and community building efforts which may result in the beneficial side effect of enhancing economic development. 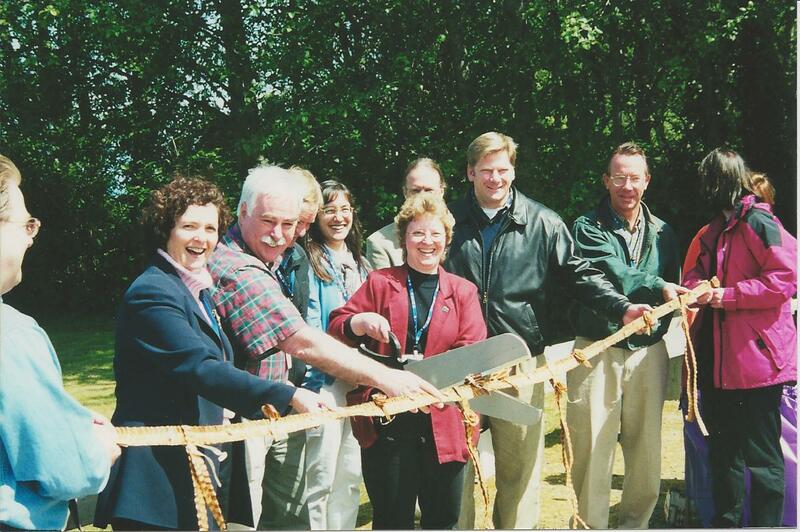 Community Education and Participation: The Association will strive to educate the byway community regarding its past history, present neighbors, current issues and future planning. The Association will encourage community participation in the organization and projects and events managed by the Association. … will explore funding and partnership opportunities for projects that benefit Hwy 112 and support the Association. Funding Opportunities: The Association will explore funding, networking and partnership opportunities to learn and grow and will strive to build an organizational structure to cover minimal and essential operating costs of the Association. 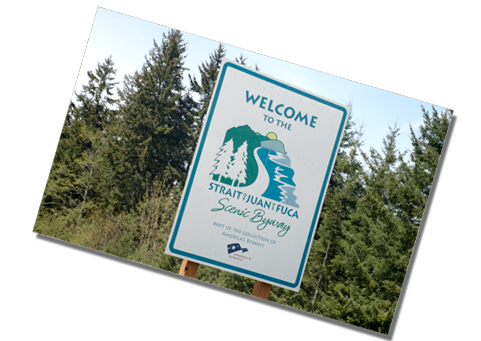 To promote the Strait of Juan de Fuca Highway 112 Scenic Byway. The Strait of Juan de Fuca Scenic Byway community, as well as travelers to the byway, will have knowledge of or access to information concerning the highway story, the history, the culture, the archeological aspects and the natural resources of the byway, and will appreciate the recreational and scenic opportunities the Strait of Juan de Fuca Scenic Byway affords. The Juan de Fuca Scenic Byway Association will be instrumental in promoting these same qualities through the National Scenic Byway Program and through collaborations and/or partnerships with local, state and regional jurisdictions. The association will work to raise awareness of the byway program and encourage support of the association with a strong local membership in the Juan de Fuca Scenic Byway Association. To promote low-impact tourism in partnership with other groups. Activities include: kayaking, canoeing, biking, hiking, wildlife watching/bird watching/whale watching, photography, storms, lighthouses, fishing/hunting, museums, cultural events, and others. Low impact to traveler, community and environment ... more non-motorized vehicles for travel ... longer stays ... off season, shoulder season. Partners: Olympic Peninsula Visitor Bureau, Clallam Bay-Sekiu Chamber of Commerce, Makah and Elwha Tribes, Audubon, Whale Trail, Olympic National Park, Clallam County Parks, Washington Water Trails, Olympic Discovery Trail (Adventure Route Segment), Lighthouse Association, Historical Societies, Backcountry Horsemen, and others. The National Scenic Byways program is part of the U.S. Department of Transportation, Federal Highway Administration. The program is a voluntary, grassroots collaborative effort established to help recognize, preserve and enhance selected roads throughout the United States. This program is founded upon the strength of the leaders for individual Byways. The U.S. Secretary of Transportation recognizes and supports outstanding roads as All-American Roads or National Scenic Byways based on one or more archeological, cultural, historic, natural, recreational and scenic qualities. Since 1992, 150 distinct and diverse roads have received designation in 46 states. The Federal Highway Administration promotes the collection as the America's Byways®. Membership services such as the Milepost Business Directory, membership decals, The Milepost newsletter, membership meetings, and web maintenance are supported by annual membership renewal fees. Additional funds are available from various annual fundraising events such as the Great Olympic Peninsula Duck Derby and Festival of Trees. The Great Strait Sale pays for the cost of promotion of the event with fees charged for advertising on the flyers. Other specific and larger projects are paid for by grants such as, but not limited to, National Scenic Byway grants and Olympic Peninsula Visitor Bureau Tourism Enhancement grants. Many, but not all, grants require matching funds provided by donated cash, services, materials, equipment, and/or labor. Partnered with the Olympic Peninsula Visitor Bureau, 7 Cedars, and Washington State DOT to update and print the scenic byway brochure. Partnered with Olympic Peninsula Visitor Bureau to upgrade quality and print a brochure for the Olympic Discovery Trail ~ Adventure Route brochure. Partnered with The Whale Trail to update and print brochures including land-based viewing sites along the scenic byway. Then partnered with The Whale Trail, Olympic Peninsula Visitor Bureau, and Clallam Bay-Sekiu Chamber to develop and install interpretive signs at the viewing sites and develop web pages for each site. Partnerships include Clallam County, Lower Elwha Kallam Tribe and Olympic National Park. An interpretive gateway and rest area will be designed and developed at the former Elwha Overlook. The area is currently being used as the staging for the Elwha Dam removal project. When the property is vacated, the land and road will be restored to create an area for visitors to learn more about the Elwha river valley and the Strait of Juan de Fuca Scenic Byway. Partnered with Olympic Peninsula Visitor Bureau, to upgrade quality and print a brochure for the Olympic Discovery Trail ~ Adventure Route brochure. Partial matching funds from the JFSBA, Mike's Bikes (All Around Bikes), Backcountry Horsemen of Washington, Peninsusula Chapter, and Peninsula Trails Coalition. Partnership with the NPCA allows for printing of a second edition of the Exploring the Elwha River Restoration commemorative booklet and funding for the manufacturing of the interpretive panels for the Elwha River Interpretive Center. Partnered with Olympic Peninsula Visitor Bureau to re-print the Highway 112 Scenic Byway Brochure.